With summer now in full swing, many of us will be spending more time outdoors. This increase in activity, along with the rise in temperatures, makes paying attention to your body’s fluid intake much more important. So how much do you really need to stay properly hydrated? Eight, 8-oz. cups of water has been the standard hydration "rule" for decades, but the reality is that hydration requirements can vary widely depending on body weight, activity level and the rest of your diet. A more accurate way to determine how much fluid you need is to divide your weight (in pounds) by two, and that's approximately how many ounces of fluid you need daily. Add an additional 16 ounces for every pound of sweat lost during exercise or work outdoors in hot temperatures. Aside from keeping us safe by regulating our body temperature in the summertime heat, staying well hydrated is vital when it comes to maintaining optimal energy levels, mood and alertness. Watching your diet? If you’re trying to stay in summer shape, drinking plenty of fluids can actually aid in helping to fend off cravings, since being even slightly dehydrated can leave us feeling sluggish, looking for carb-rich foods as a quick pick-me-up, when the reality is that all we really need is more fluids. And good news coffee lovers: these fluids don't have to be just water. In fact, any fluid without alcohol counts toward our daily intake — yes, that means even coffee and tea. 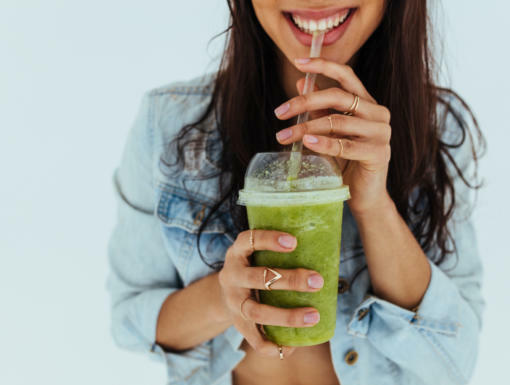 Even what you eat throughout the day can contribute to your daily fluid intake— think cottage cheese, Greek yogurt, soups and smoothies. Most fresh fruits and non-starchy vegetables are at least 80 percent water, and even unexpected foods like roasted skinless chicken breast or grilled beef filet are comprised of more than 60 percent water. What about all of those fancy sport drinks? Are they really necessary? You may want to rethink that beverage as most of us don't need the added sugar that's found in traditional sports drinks; just regular food and drink can be sufficient. Some of my clients' favorite hydrating beverages (with fewer than 15 calories per 8-ounce serving and no artificial sweeteners or colors) include sparkling mineral water, tea (hot or iced), La Croix sparkling water, Vitaminwater Zero, Crystal Light Pure and Zevia soda. The popular SodaStream has made it even easier — and more cost-effective — to have sparkling water anytime. Add flavor with muddled fruit and fresh herbs with an (optional) no-calorie natural sweetener like Swerve or Truvia. Try flavor combinations such as strawberry basil, blueberry sage or ginger lemon. I also like Sweetleaf Sweet Drops (available at health food stores and online), all-natural stevia-sweetened drops available in 21 flavors, from apricot nectar to cinnamon to pumpkin spice and root beer. They're easy to stash in your car or purse so that you can add flavor to bottled water on the go. Aside from the ease and convenience, adding flavor add-ins to our water can help us drink more water, pleasing our taste buds much more than just plain old water. Planning to play it out in the heat for long hours? While water and other plain old fluids are fine for regular daily hydration, electrolyte-rich beverages are an essential part of staying hydrated for those who lose large volumes of sweat. However, it’s still not necessary to gulp down countless sugary sports drinks. Natural electrolyte-packed, low-sugar beverages include coconut water (Zico is my favorite to replenish sweat losses, since it has more sodium than most other brands), V8 or tomato juice, fruit smoothies with a dash of sea salt, and ready-to-drink protein drinks like ICONIC, EAS AdvantEDGE Carb Control, and Muscle Milk 100 Calories. And water bottle add-ins like nuun tablets and Emergen-C packets can be a convenient way to add flavor and electrolytes, anywhere. 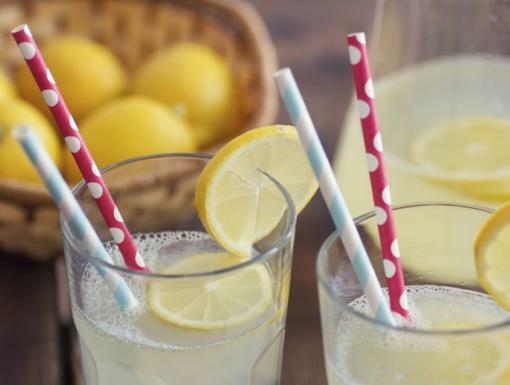 You also can mix up a homemade version of a low-sugar electrolyte drink using your favorite all-natural, low-calorie drink (non-carbonated beverages work best), and adding potassium and sodium (the two main electrolytes in most sports drinks). Add approximately 300 mg of potassium with one-eighth teaspoon of a salt substitute like No Salt, Nu-Salt, or Morton's Salt Substitute, since potassium chloride is the main ingredient in these salt substitutes. Add 150 to 300 mg of sodium with a pinch to an eighth-teaspoon of salt. 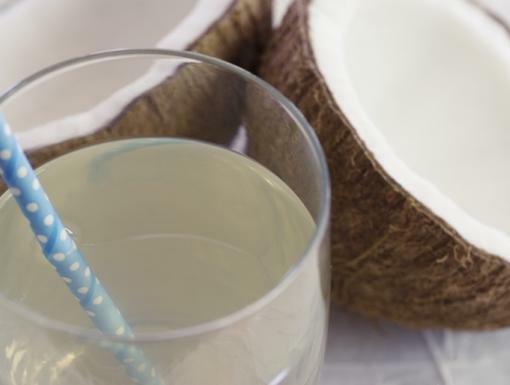 Mix to dissolve, and you've got a DIY sports drink in no time without the calories, sugar and artificial colors found in most store-bought sports drinks.